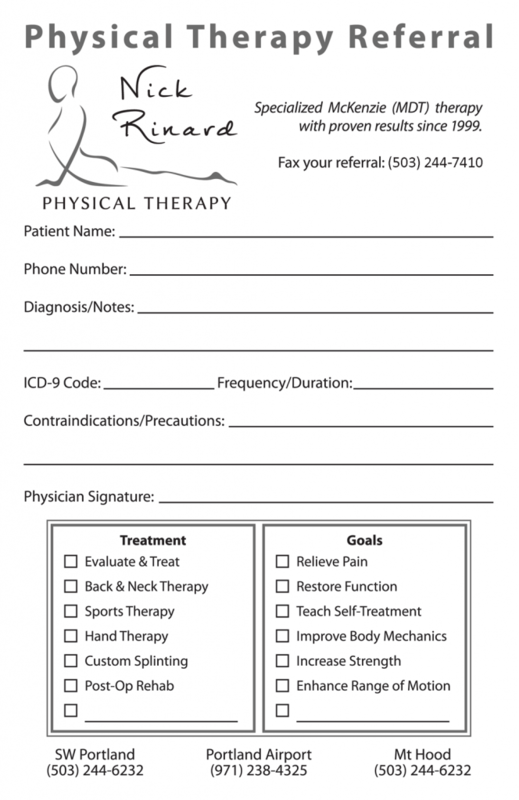 In Oregon, referrals are not required to receive Physical Therapy. However, some medical insurance policies and workers compensation plans may ask for a referral prior to authorizing payment under the plan. We are always happy to check your insurance, and this service is FREE, so please do not hesitate to call and ask.